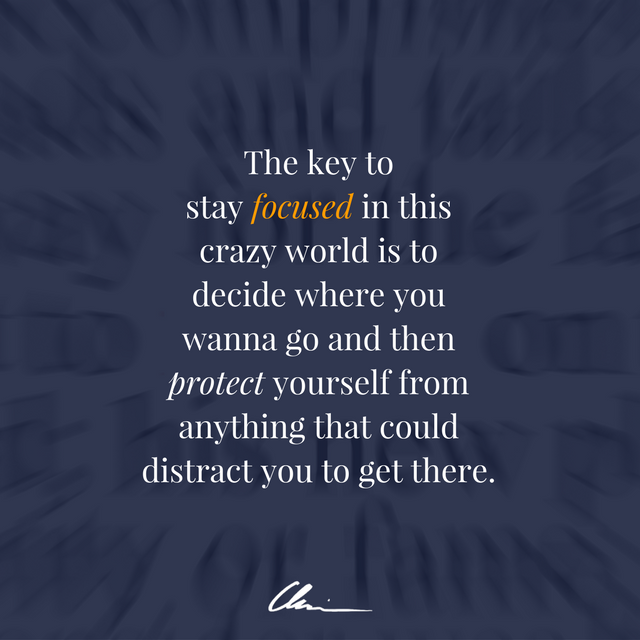 Why is it so hard for us to stay focused? Because we are addicted to distraction! The reason for our addiction is very simple: our iphone has become our #1 source of dopamine, which is the same stuff our brain produces when we smoke, drink or gamble: it’s highly addictive. Every single alert from Email, WhatsApp, Facebook, Twitter, Instagram, Snapchat, browsing, news feeds gives us a kick and makes us feel better, more connected, accepted, important and busy. And it’s the best way to avoid challenging work right?! But the Price of getting distracted is huge. We lose control of our attention and focus. 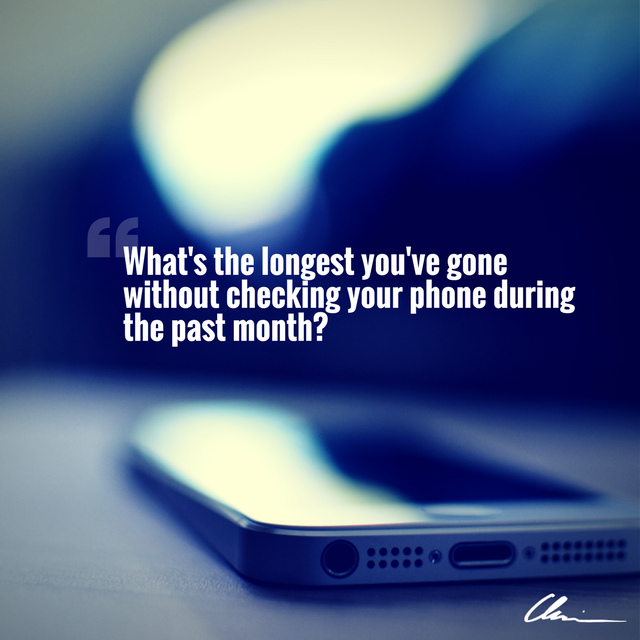 Many people, me included some 4-5 years ago, are not able to focus on a specific task for more than 5 or 10 minutes without checking email or get a coffee. And once this bad habit is implemented, it’s hard to get rid of it, just like smoking. 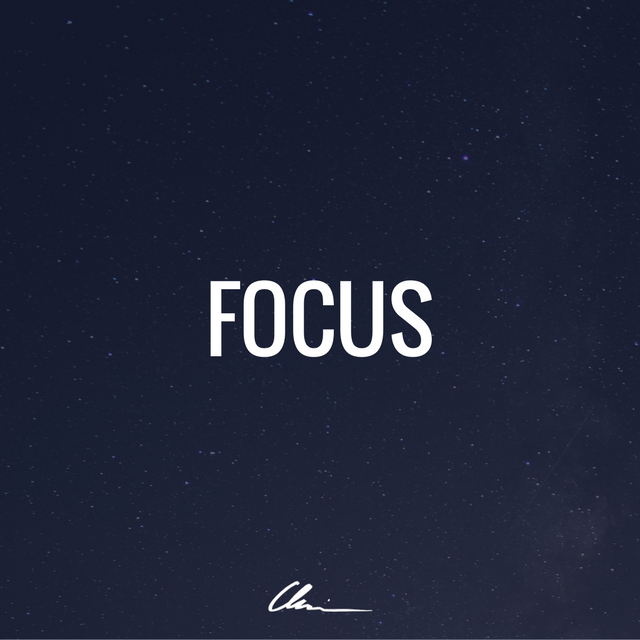 Without focus, we become the punching ball of our environment and unable to achieve our goals and make an impact in the world. It’s the safest path to mediocrity. 1. 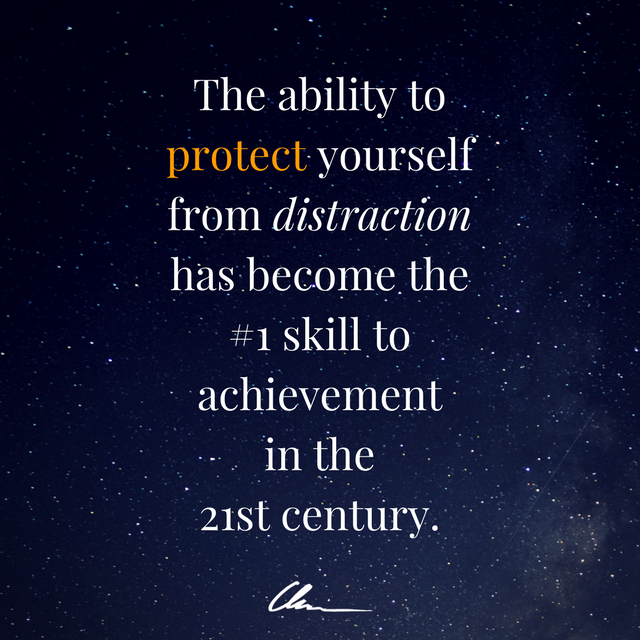 Write down your top3 priorities! Ask yourself: What are your three most important tasks for tomorrow? Write them on a little piece of paper (not phone or computer! ).If you’re not sure, how to prioritize, ask yourself this: What’s likely to add the greatest value? What‘s moving me closer to my goals? What‘s moving the needle in my business and life? People come to me and say ‘But Chris, you don’t understand… I am an busy person! I have way more than 3 priorities…’ Let me be honest with you: If you have more than three priorities, you don’t have any! 2. Kill your enemies! You have to identify and kill your biggest enemies before they can kill you! So ask yourself: What‘s holding me back from working on my top3 priorities? Spot your dopamine sources and dry them out! Start with your iphone: Turn off ALL notifications… sound, light, vibrations! When you sit down to work on your top3, nothing else matters. You wanna take your focus to Monster level? Do this: remove your Emails and social media apps from your iphone! If that’s too much detox, delete them on Sunday night so you don‘t get distracted during the week and re-install them on Friday evening. Takes only 2 mins but saves you hours during the week. 3. First thing first (FTF)! I promise, this is gonna be a true game changer… not only to your focus but to your overall performance level. 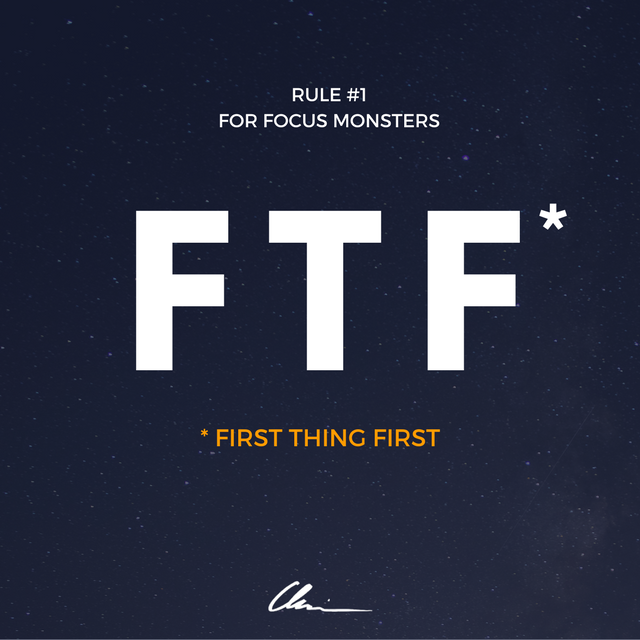 If you only take away one idea from this video it‘s this: First Thing First – FTF. 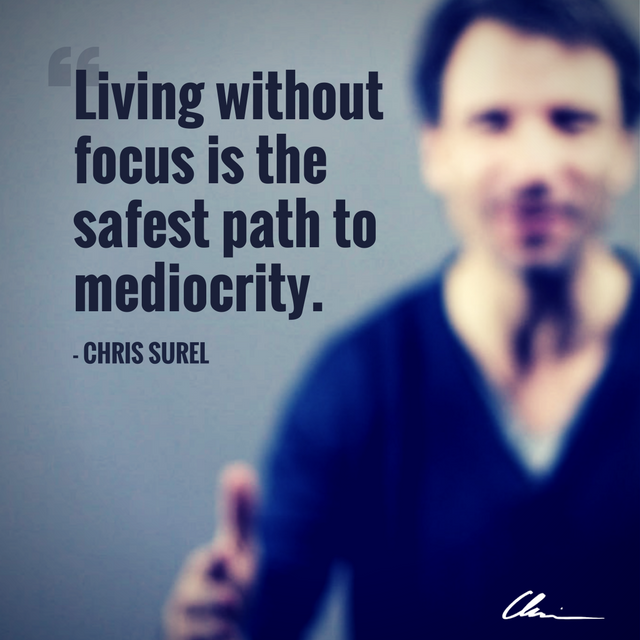 It’s the single biggest lever to magnify your focus! 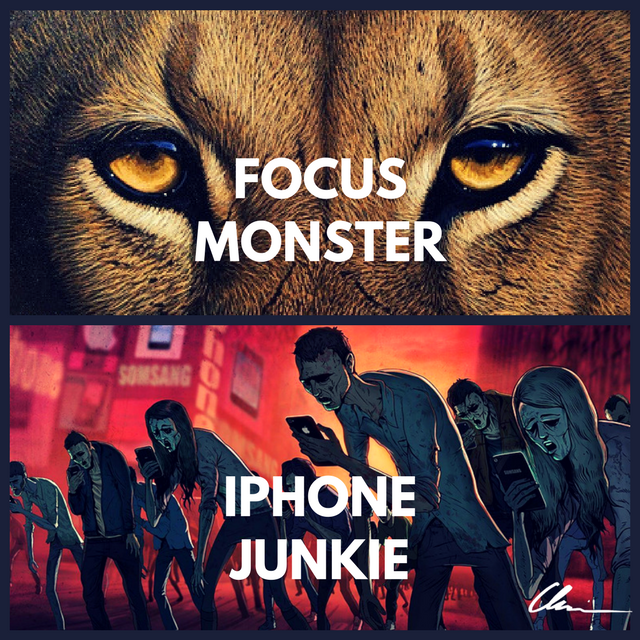 And remember this: Being an achieving Focus Monster feels so much better than a dopamine addicted smart phone junky! 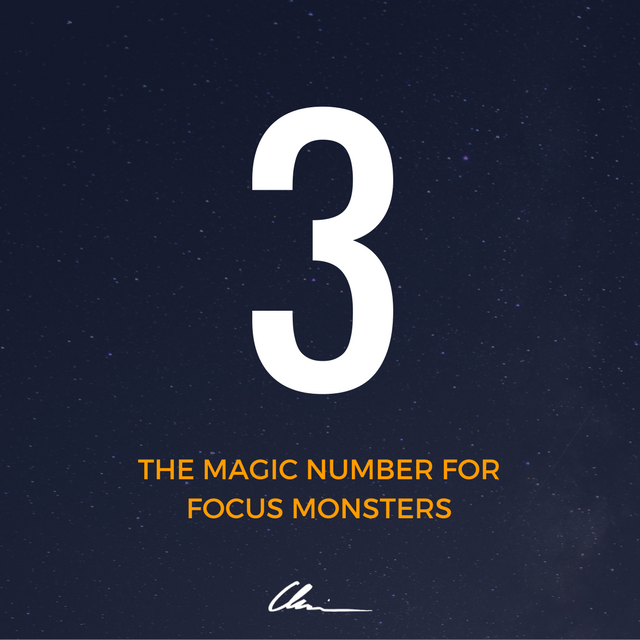 Watch the video above for the full lesson to become a Focus Monster! Please share it with 2-3 friends, colleagues or family members who need to see this. Thank you! Be the first to get exklusive content and trainings and receive my performance lessons.